A new animation studio in Tacoma. Turtledust Media, led by artist Nick Butler, is looking to draw Tacoma into the animation scene. As part of Tacoma’s Spaceworks program, Nick and his team (www.turtledustmedia.com) have been given six months and an office space to set up a functioning animation studio. They are in the midst of phase one of a fundraising campaign to raise money for their first fully computer animated short, “The Peanut Butter Jelly Jam”. “Tacoma is poised to take its place on the animation stage,” says Nick Butler, lead artist for Turtledust Media. Tacoma sits between Portland and Seattle, cities with already established animation industries. Seattle’s gaming industry was the 2nd highest US employer of animators outside L.A in 2012. Nick studied figure drawing and animation at the Animator’s Guild in Los Angeles, but decided to bring his talents and dreams of starting his own animation studio to Tacoma. “It used to be that you had to live in L.A. or New York and know someone in the business. But with recent advancements in technology, anyone can make films from anywhere in the world. ” To increase Tacoma’s awareness and interest in animation production, Turtledust Media will be offering talks, workshops and opportunities for those interested in the animation as a career. 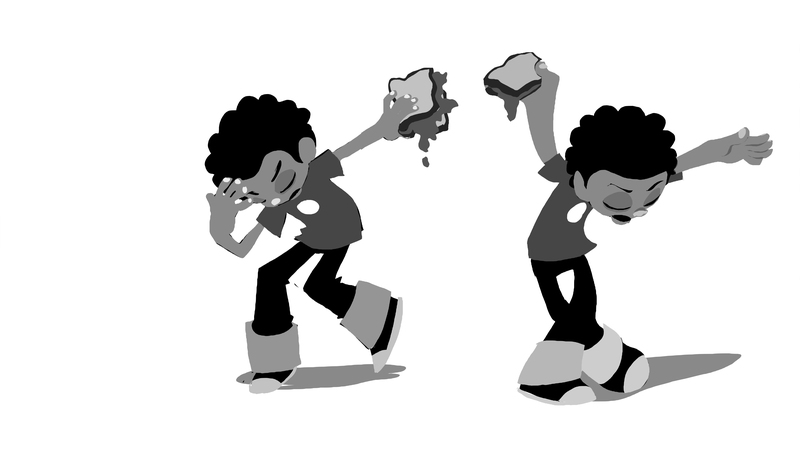 Milo, the main character in “Peanut Butter Jelly Jam” does his best Michael Jackson. Turtledust Media has already brought quality animation to the Tacoma area with entries in several film festivals. Their entry, “The Flashlight Princess” won the award for “Best Use of Prop” in the Grand Cinema’s 2012 72 Hour Film Festival. Created in only three day this short animatic has been making the rounds on YouTube and social media, but their next project will be a fully computer animated short similar to the work of Pixar and Dreamworks. Nick hopes this will help to highlight their skill set and bring in additional work for the Tacoma studio. “The Peanut Butter Jelly Jam” has been submitted to Nickelodeon’s Animated Shorts Program. This program opens the door for independent artist to have their work seen by studio decision makers. An oppportunity which was typically reserved for industry insiders. While the project is being considered Nick and his team will continue to develop the short for local and international film festivals. Nick Butler of Turtledust Media. To raise initial funding Turtledust has turned to the web. Kickstarter is a crowdfunding website which gives individuals a tool to raise capital over the internet in a process similar to public radio. Their Kickstarter campaign launched March 3 and runs through the end of the month. 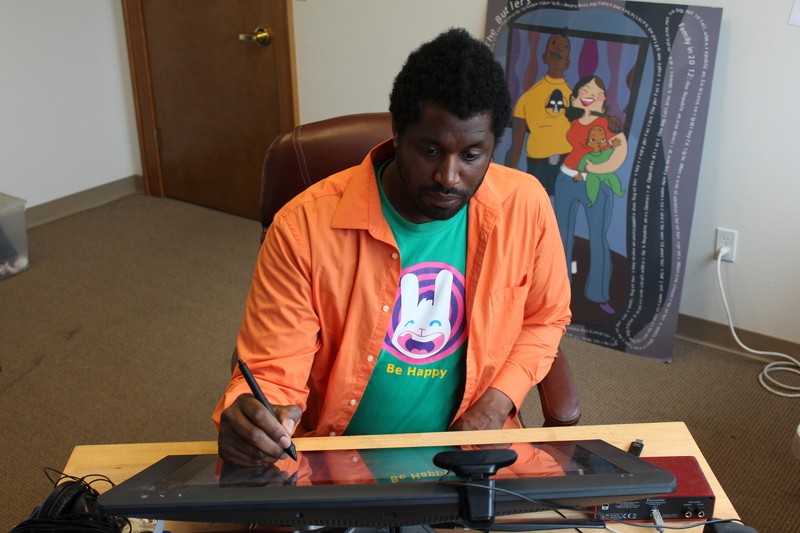 Incentives for donors range from a book about the production to custom cartoon portraits. They are looking to raise at least $2040 to help with the cost of production and operation. Turtledust will also be table at Emerald City Comic Con, March 28th ­ 30th at booth L­11, to raise awareness of Tacoma’s blossoming animation industry, garner additional support and meet in­person with fans. If you would like to know more or support animation in Tacoma visit their Kickstarter page at www.kickstarter.com/projects/turtledust/peanut­butter­jelly­jam­phase­1 To view their animatic short, “The Flashlight Princess”, visit http://tinyurl.com/flashlightprincess.